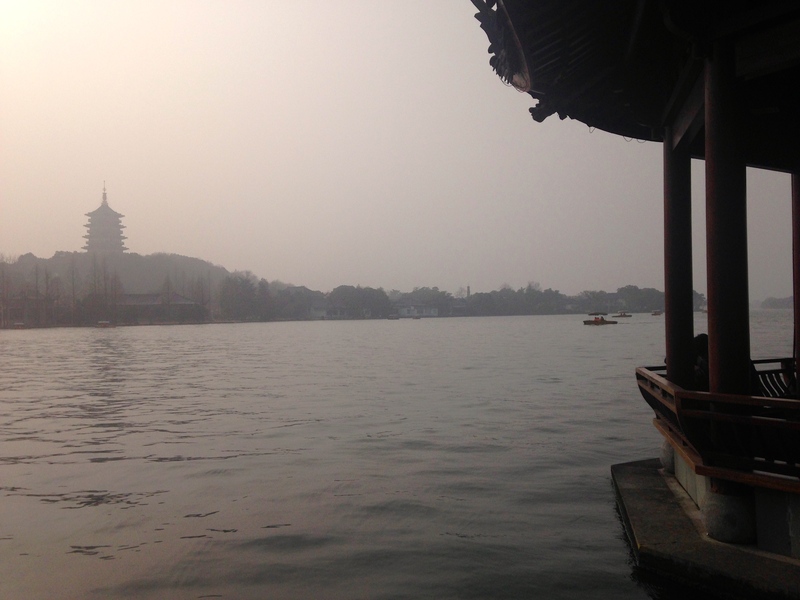 West Lake with plenty of smog. 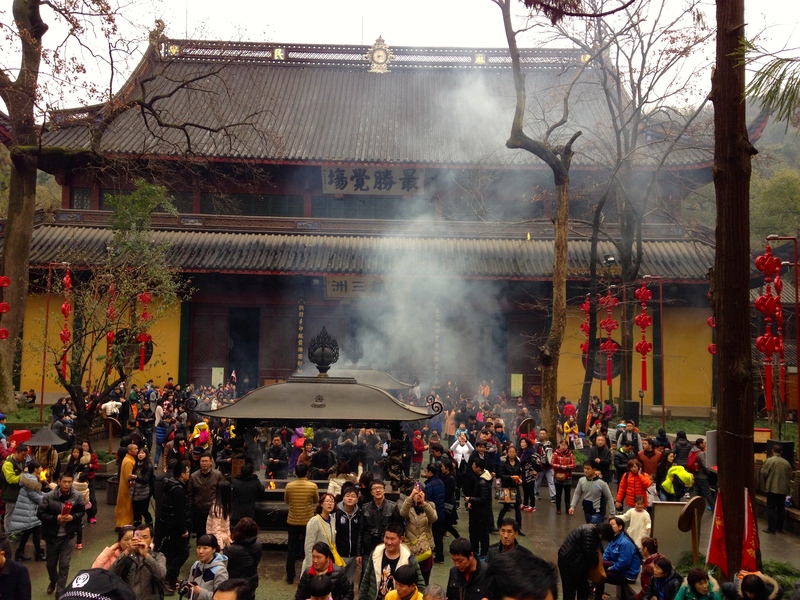 Scene of a smoggy Hangzhou from a temple. The view from a huge mountain we climbed. 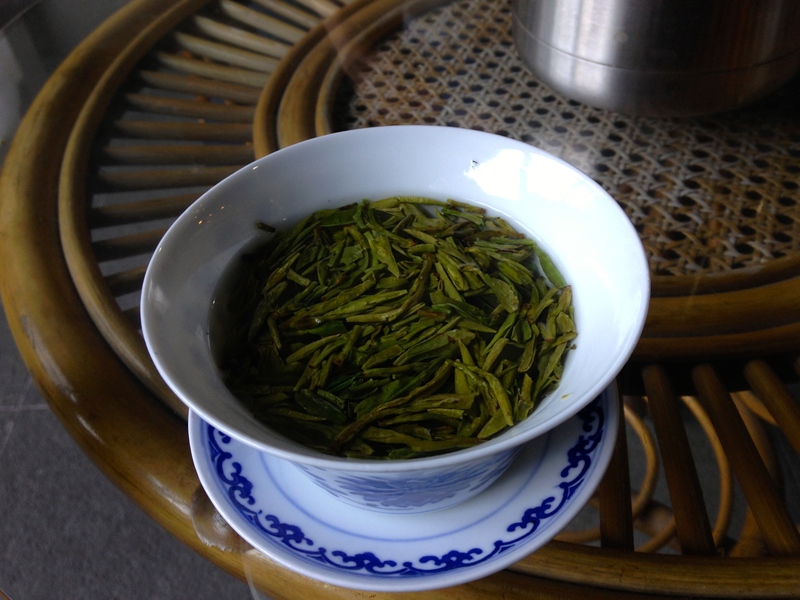 Longjing tea, famous tea from Hangzhou. The huge crowd of people. 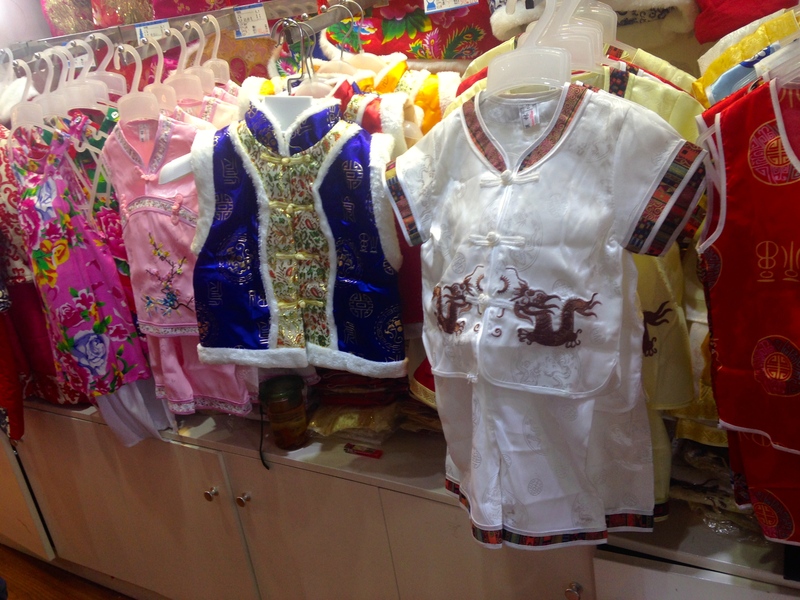 Cute clothes for the babies for Spring Festival. 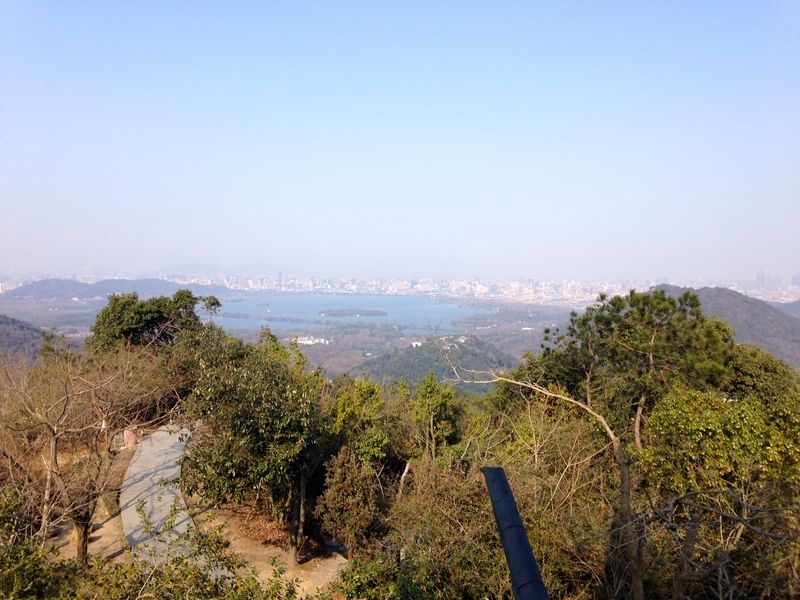 Since my last post, we have travelled east to Hangzhou. Because I have been in a bubble in western China, when I came here, I now realise how vastly different western and eastern China are. 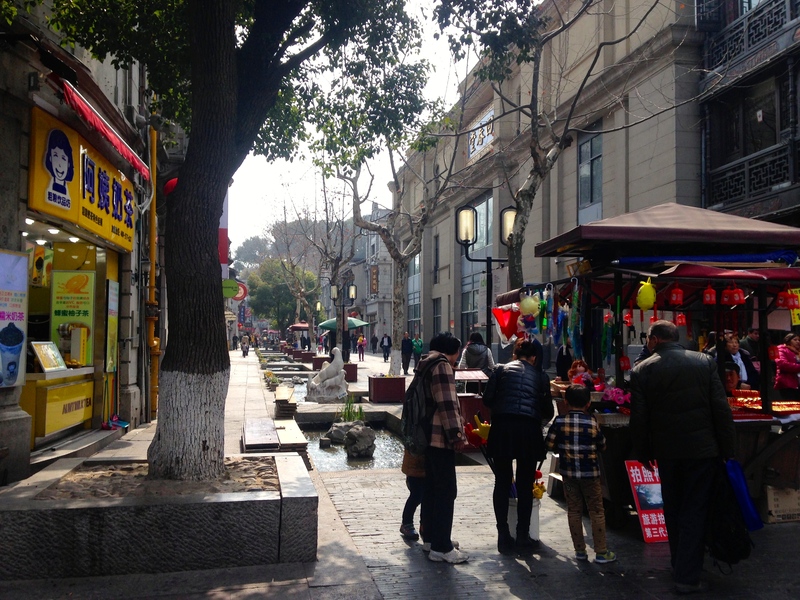 I’ve become used to Chengdu’s life, with its more laid back style, it’s more traditional shops and restaurants. I now realise how much more modern eastern China is! 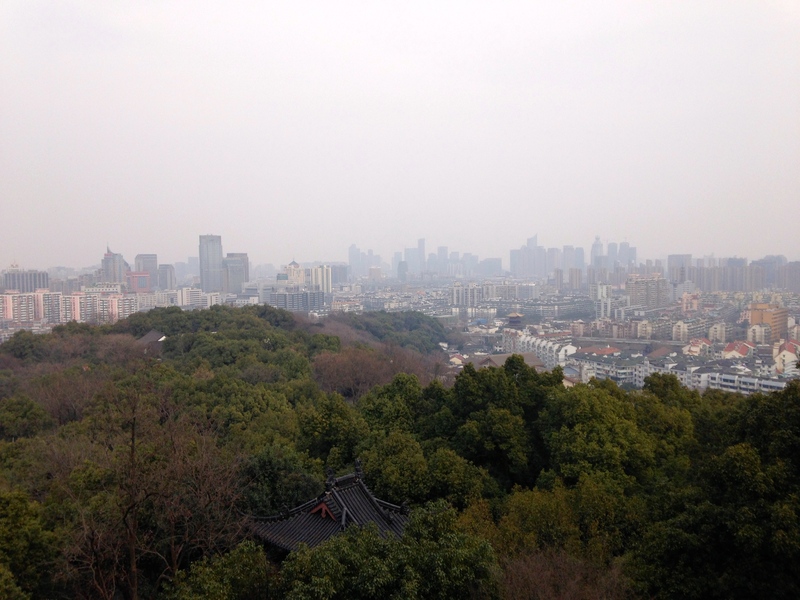 Although I’ve been to Beijing, I couldn’t compare it to Chengdu as I didn’t visit it yet, but now I see it! 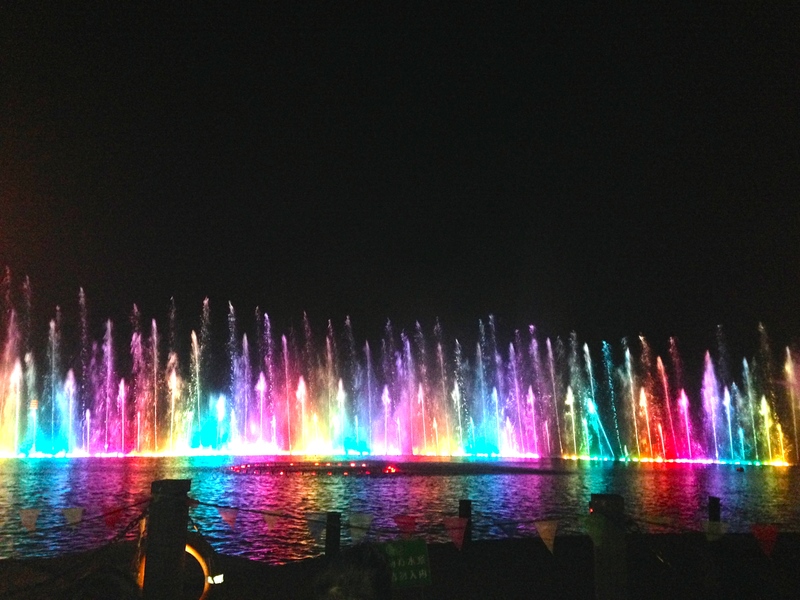 There is a saying ‘In heaven there is paradise, on earth there is Hangzhou.’ I must say, there is a truth to it. My Chinese friends would ask me ‘Where are you going during Spring Festival?’ I say Hangzhou, with the reply ‘Hangzhou is a beautiful city’. And it is. The city is modern, the buildings are nice, the weather is much better than Chengdu. The famous West Lake is iconic in the city. There are beautiful walkways along the lake. 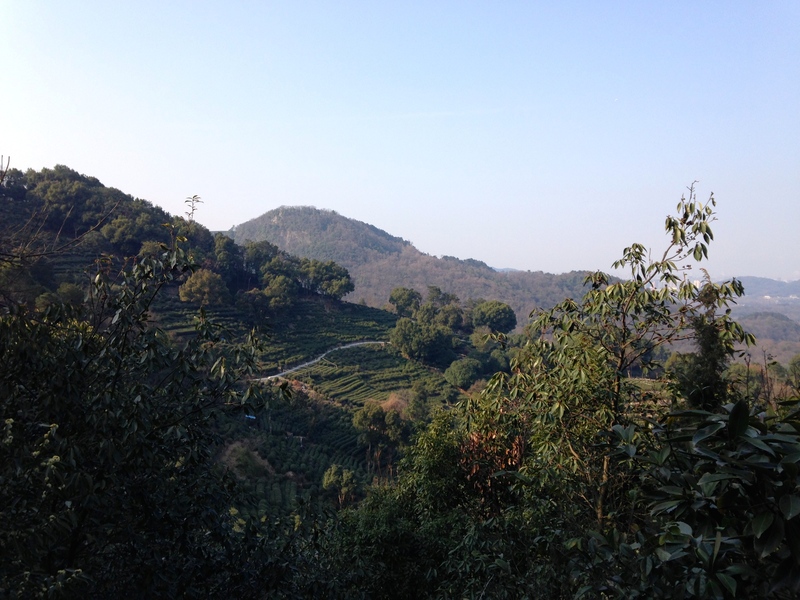 A vast expanse of mountains where you can hike and visit pagodas and temples. For those who like hiking, this is a perfect place to do it. For foreigners, this is a city for us. A lot of restaurants have English, or at least pictures. There are bikes to rent all over the city so it’s a lot handier to travel around the city. A lot of signs have English. 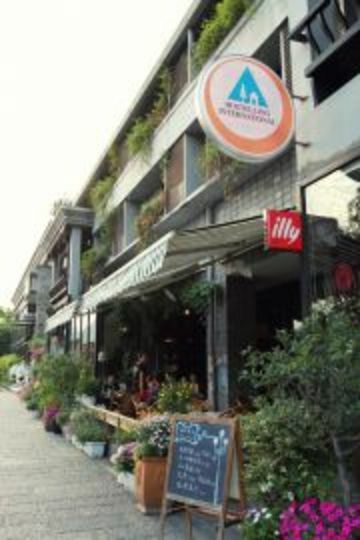 In comparison to Chengdu, it’s a city that is more foreigner friendly. 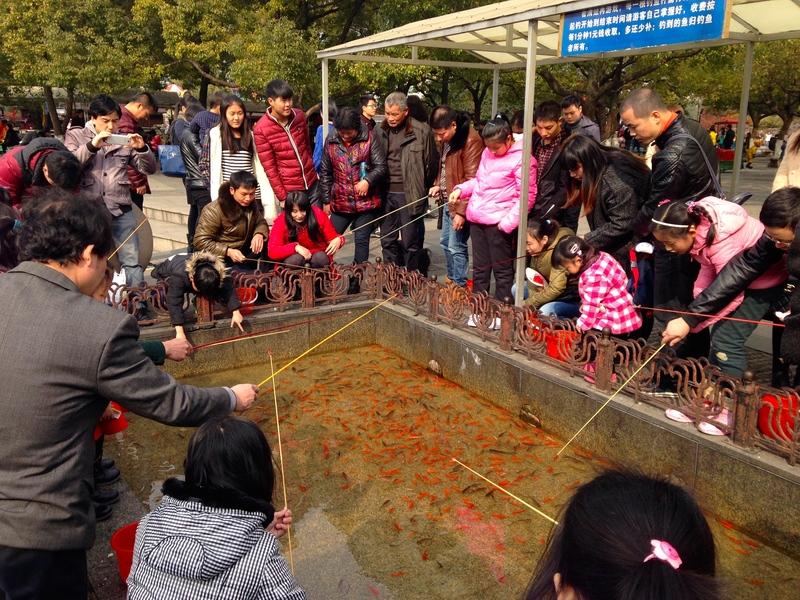 This is because it is a major city to visit with regards to both Chinese and foreigners. We have been here about 7 days and within those days, we didn’t even see half the things that are here. Our last few days we are going to relax and prepare for our trip back to Chengdu. There is a certain charm to the city, and I think its a great place to visit. It is close to Shanghai, Suzhou and a 5 hour train ride to Beijing, meaning you can visit many more places around the city. In Chengdu, we are limited to only one other major city to visit, Chongqing. 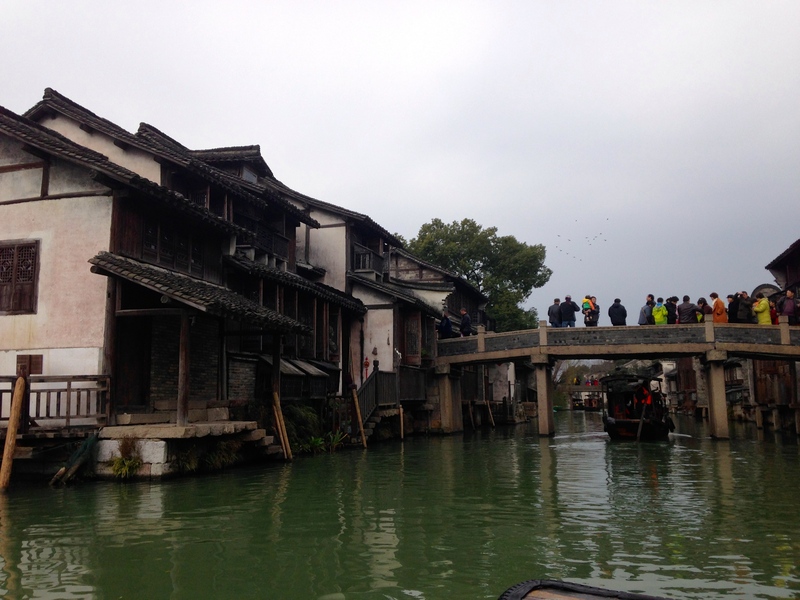 So here is a list of the good and bad that I’ve experienced from Hangzhou. 1. Restaurants (usually) have English menus. 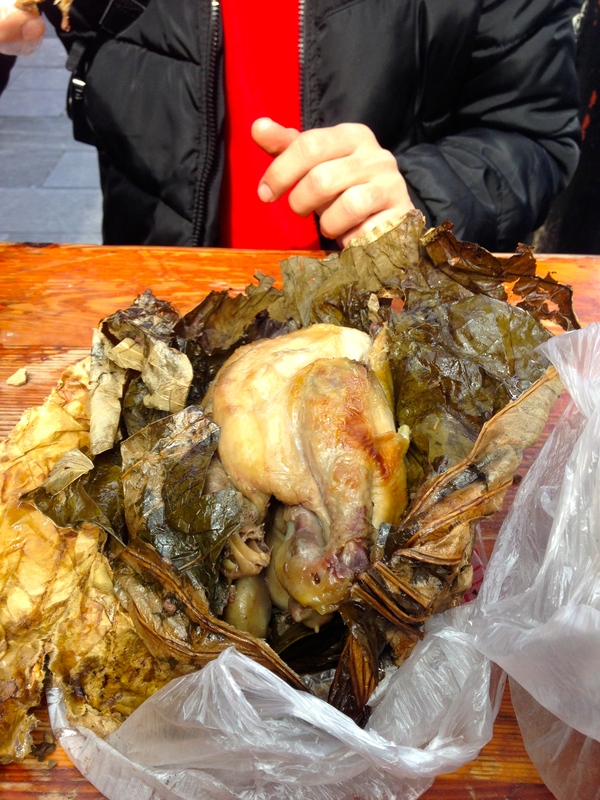 There is also a variety of different food on offer, from Hangzhou, Muslim (Xinjiang province) and Korean. 2. There are many cultural places to visit; West Lake, Hefang Street, Wuzhen Water Town, Six Harmonies Pagoda among many many more. 3. 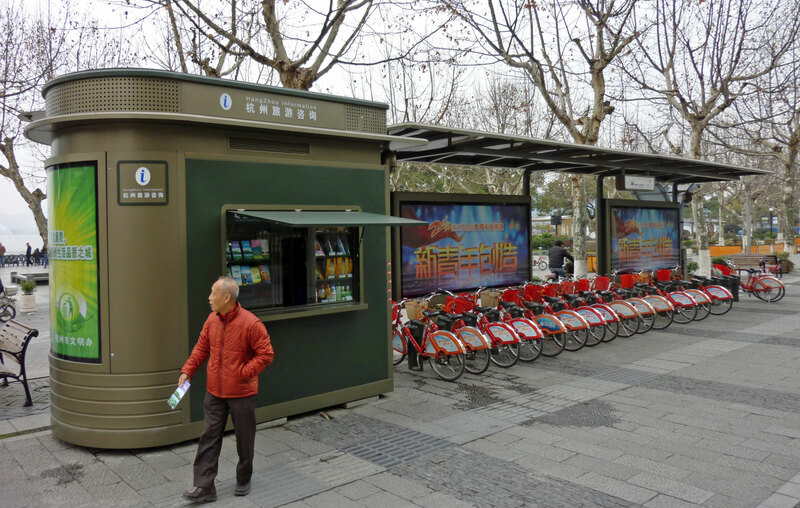 Rent bikes from stalls found all over the city. 4. Beautiful scenery around the Lake and the mountains. 5. 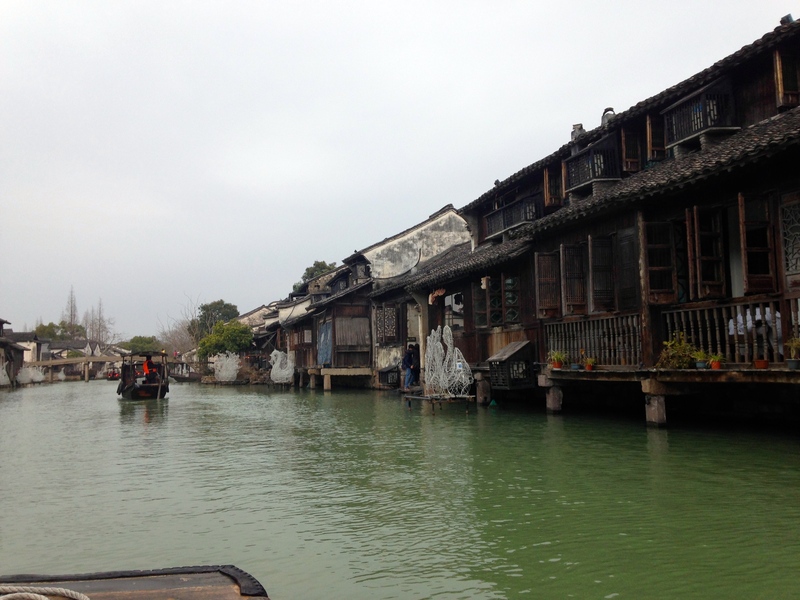 Close to Suzhou and Shanghai. 6. Good drivers. We were so surprised that drivers actually stop for us when we are crossing the road. Drivers are much more patient, much less honking of the horn, and generally they are better drivers. 7. More conscientious about the environment. There are blue busses that are electric, and I have seen some electric cars also. It’s nice to see that somewhere in China they are thinking about the environment. 8. The city is quite small, with around 7 million people, meaning it is easier to travel to more places. 1. People are not the friendliest. From my impression, the staff in restaurants and shops aren’t very polite or helpful. Maybe this was because it was Spring Festival, I’m not sure. In Chengdu, because there aren’t as many foreigners, we are treated with more respect. In Hangzhou, I’m sure they see a lot more of us. You won’t get many smiles in Hangzhou. 2. It is more expensive. 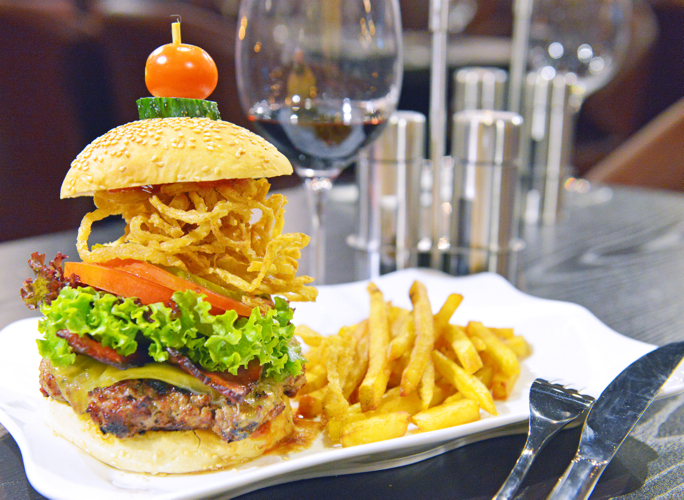 This is seen especially in restaurants where the food is dearer. 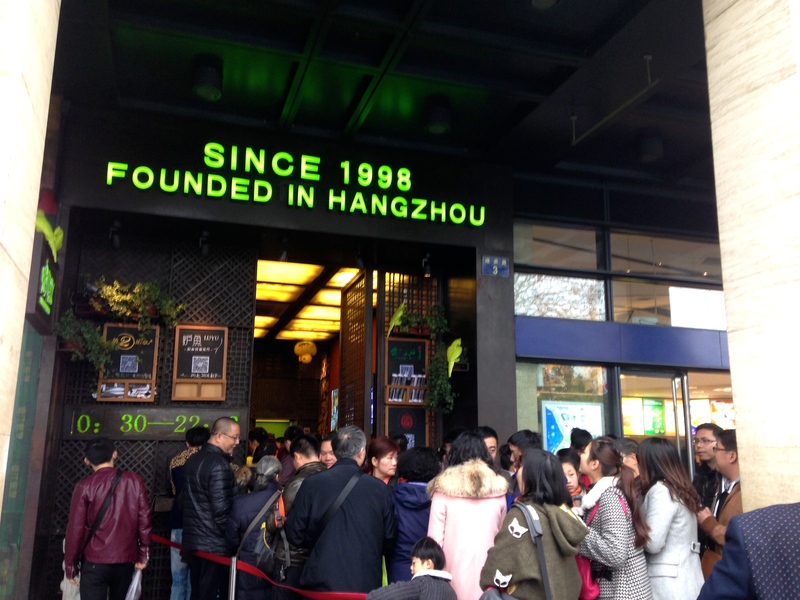 A 2 person meal in Chengdu would cost between 40-60 yuan, whereas in Hangzhou, it would be 100 yuan and upwards. 3. More foreigners. Although some people may like this, I personally don’t. I like the more authentic experience of living in China with Chinese people, and not bumping into foreigners all the time. 4. 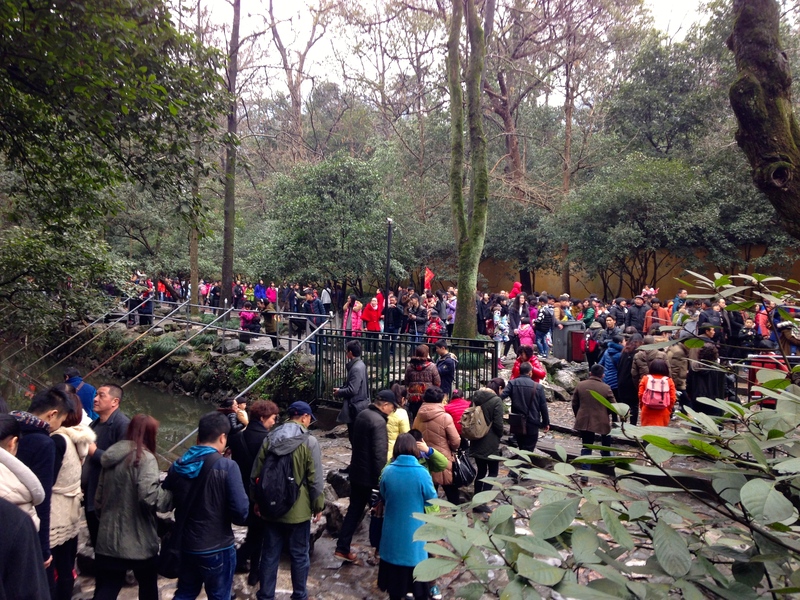 During the spring festival, the traffic was MAD, and there were Chinese people everywhere! But this was during the spring festival so It wont be as bad during normal times. Although we planned on visiting Shanghai, we decided not to. During this time, it is too busy with people travelling and it would much harder to get train tickets. Also, we booked our hostel for 10 days, meaning if we stayed in Shanghai for a night, we would have lost money in our Hangzhou hostel. But it is a beautiful city and the lake is beautiful. Although we were quite unlucky in that the weather isn’t great here at the moment, I can just imagine what the city would look like during the summer when the sun is shining. Chinese New Year/ Spring Festival. At the moment, everyone is busy getting ready for Chinese New Year. Unlike the west, their New Year isn’t fixed, meaning it changes dates every year. Usually it is held from the end of January to the end of February. This year it is quite late, on the 19th of February. Their New Year is our Christmas. I’ve actually seen tinsel! Lights are everywhere and there are red lanterns hung on the sides of the roads. I haven’t seen them at night but I’m sure they are beautiful. This year is the year of the sheep. Apparently, (from what I’ve read on the internet) is that many parents don’t want their children to be born in the year of the sheep because it represents bad luck! My thinking however, if you’re blessed at being able to have kids then you’re extremely lucky! Because of the festival, I’ve had a few classes cancel this week, but not as many as my co-workers. I’m trying to convince myself that my students love coming to class and thats why! So, to make the most of our time off, myself and my boyfriend are going to visit Hangzhou. It is in eastern China, about 2 hours bus drive south from Shanghai! Apparently Hangzhou is a nice place to visit, but I know, at this time of year, it’s going to be hectic travelling around China. As one person said ‘the whole of China is moving’. Most Chinese families stay together during this time, with most of my friends going home for the festival. I didn’t hear of many travelling around, as they know all too well how busy it will be. But I’m expecting it! 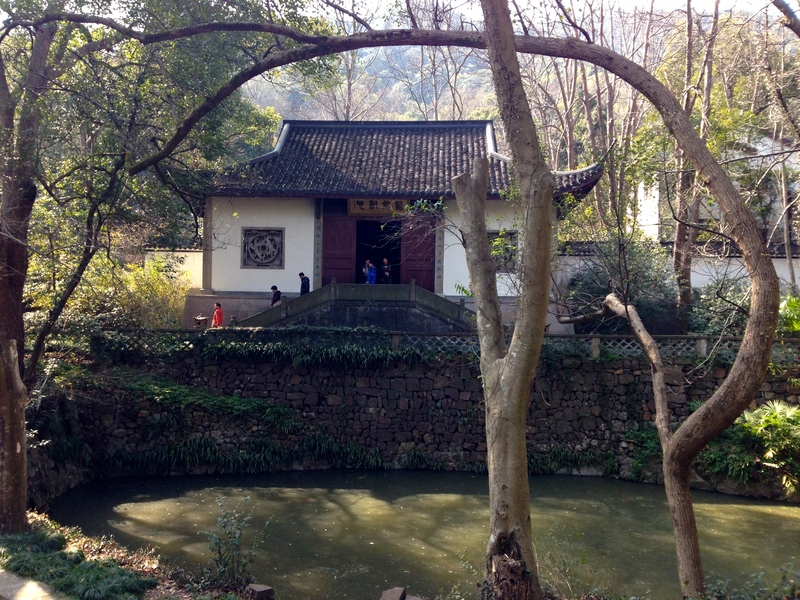 We are staying in Hangzhou for 10 days, If we decided to stay in Chengdu, I know I’d have been bored! It’s rare to get a 10 day holiday, so our idea was to make the most of it. Last year I was at home when the Spring Festival was on, meaning I missed it. I promised myself that next year I would be there for it, because its such as important time for Chinese people. And while I’ll be in Hangzhou, my sister will be having her baby! I may try and search for any wifi spots in the city so I don’t miss the action! A good start to the (Chinese) year for my sister and boyfriend. Oh and xīn nián kuài lè! Happy New Year!